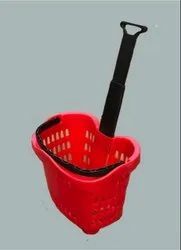 Prominent & Leading Manufacturer from New Delhi, we offer shopping trolley, plastic shopping trolley, trolley, plastic shopping trolley (apple), basket trolley and supermarket trolley. Shopping trolley made out of MS wire zinc coated with baby seating. Having 100mm PU wheels. Plastic shoping trolley made out of New PP with three handles. Having a capacity of 40 ltrs with PU wheels. 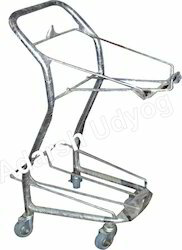 Shopping trolley made out of Ms wire and zinc coated. 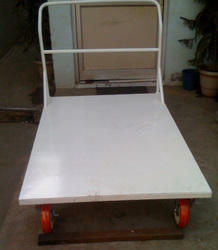 Having PU wheels of 4"
Plastic trolley made out of PVC with single rigid telescopic handle. Having dimensions 530 x 380 x 430mm with capacity 40 ltrs. 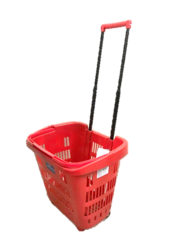 We offer clients with a qualitative range of Basket Trolley or Shopping Trolleys. Our range is designed and manufactured using premium grades of MS wire with zinc coating and antirust treatment. These are also available with three size branding space and are acclaimed for durability, sturdy construction, and corrosion resistance attributes. 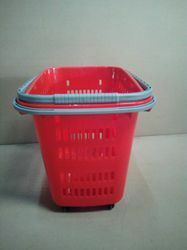 This range is widely used in various supermarkets for carrying products. 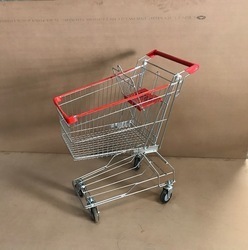 We are the manufacturer and supplier of Supermarket Trolley. 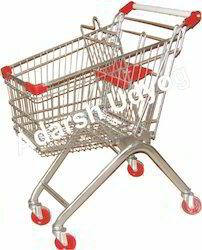 Adrash udyog Manufacturing trolley in Stainless steel as well as chrome plated assuring best quality Supermarket Trolley at very competitive prices. Mobile Compactors are ideal book stoarge option in libraries or other sites where you have little space and need to accomadate books and files. these mobile compactors are on railing system and can be fully operative on particular site requirements. 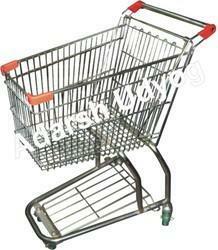 Looking for Supermarket Shopping Trolley ?